Looks like sponsors aren't the only thing Tiger Woods is losing this month following his cheating scandal, word around town is that his wife Elin Nordegren is going to leave him too. 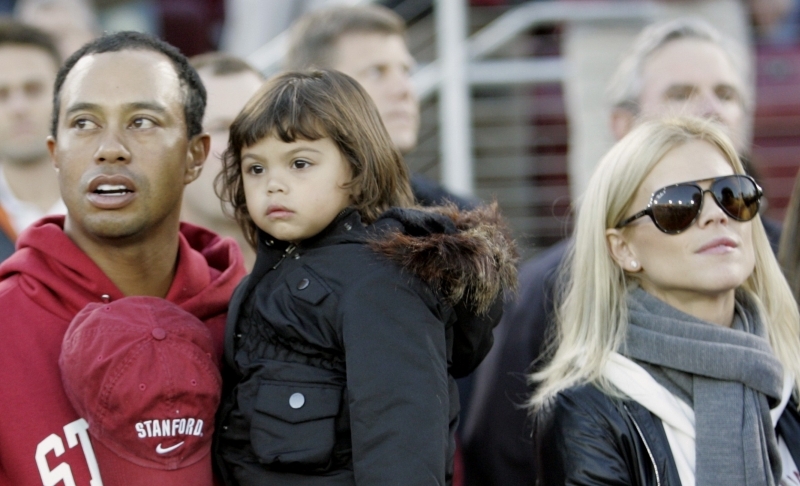 "She plans to leave Tiger," a source very close to Elin tells People magazine. "She's made up her mind. There's nothing to think about: he's never going to change." Photos circulated this week showing Elin not wearing her wedding ring. According to People, Elin has already met with lawyers to renegotiate the Woods' prenuptial agreement and is considering filing for divorce from her cheating husband. Elin is reportedly planning on leaving him before the holidays. She "is making plans to move out and take the kids [Sam, 2; Charlie, 10 months] with her," a source tells the New York Post. She'll most likely travel to Sweden to spend the holidays with her family, where she also owns a multi million dollar mansion. Of course he´s never gonna change!